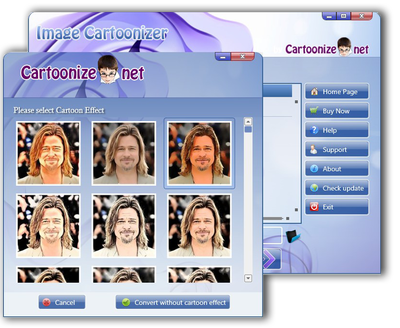 Image Cartoonizer 3.0.0 無料ダウンロード - Now you will be able to cartoonize your photos from your desktop. Now you will be able to cartoonize your photos from your desktop with our new Image Cartoonizer Desktop Software for Windows. You can convert all your images and pictures into cartoon effect more quickly. You can convert large photos for best result! Convert multiple photos in one click! Edit your photos before cartoonize them, and add some adjustments! Cartoonize your photo without "Cartoonize.net" Watermark!